Young Leaders of Licking County, an affiliate of the Licking County Chamber of Commerce, was established in October of 2016 with the goal of engaging local young professionals within the Licking County community. Young Leaders of Licking County is currently 270 members strong and offers a variety of professional, social and philanthropic development opportunities. In 2017, the group established the Young Leaders of Licking County Giving Fund at the Licking County Foundation — a community charitable fund, for the purpose of pursuing philanthropic goals and benefiting charitable causes and organizations the members care most about. When the Newark Area Jaycees—a community service club, dissolved, they donated their funds to YLLC to help establish the Givihng Fund. The Young Leaders continue to contribute money to the fund through creative fundraising events, such as last August’s Duck Derby which raised over $3,500 for the fund. In addition, the group has planned a Putt-Putt Challenge fundraiser on August 2nd. All proceeds from this event will be donated to their fund at the Licking County Foundation. 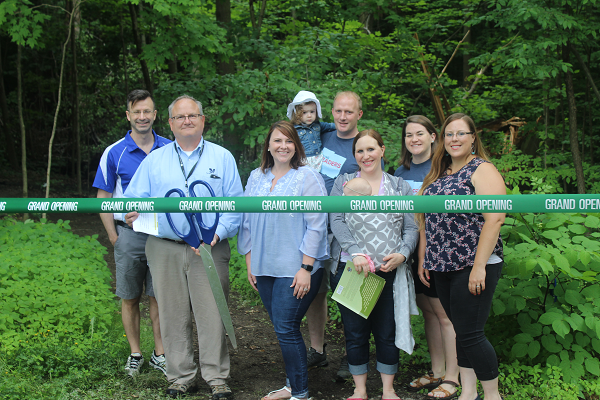 “We want Young Leaders of Licking County to serve as a conduit to connect people to their passions in order to make a difference in the community,” said Brittany Misner, Membership and Affiliate Director at the Licking County Chamber of Commerce.